A strong group of Wurundjeri women are bringing back traditional ceremony, last performed 185 years ago. The last Coming of Age ceremony held by the Wurundjeri Tribe took place at Coranderrk, 185 years ago; from that point all cultural ceremony and practice was forbidden. A group of Wurundjeri women, descendants of the families who went through the last recorded Wurundjeri ceremony are determined to be a ‘living culture’, reviving ancient ceremonial practice. Wurundjeri Baggarrook is not only documenting this history in the making, but leading insight into the complexities of contemporary Aboriginal identity in an urban setting. 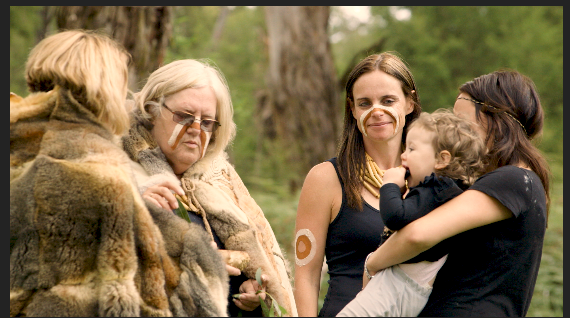 A significant untold story is ready to be revealed, whilst the rest of Australia is getting up to speed with the nations real history; these brave Wurundjeri women know how to build a strong and proud community. Told by a creative collaborative team, that is largely made up of women; written by Mandy Nicholson, (Wurundjeri –Willam clan), Produced by Rochelle Humphrey, overseen by Elders Aunty Diane Kerr and Aunty Irene Morris. INDIGENOUS PRODUCER MENTORSHIP - This project will have a mentorship attached - A young Wurundjeri woman will have the opportunity to learn the process of producing for broadcast - from pre production to post production. The award winning director will contribute to financial support of the mentorship. We are looking for partners that acknowledges gender matters and supporting the development and encouragement of future Wurundjeri women filmmakers is essential. 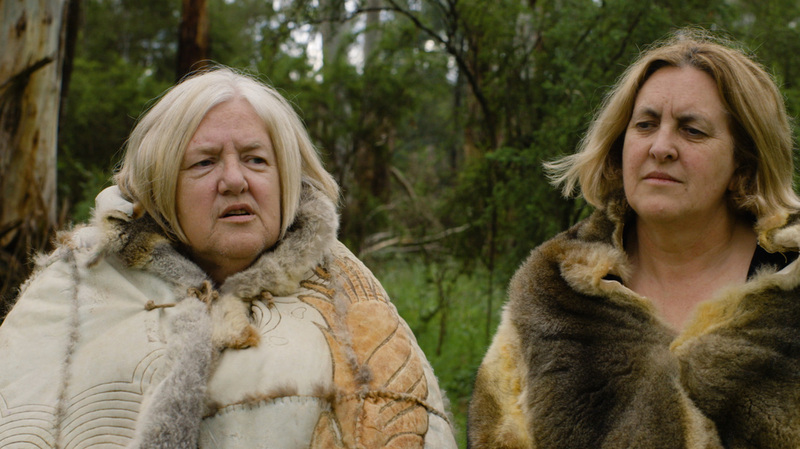 Elders from Wurundjeri tribe, Aunty Diane Kerr and Aunty Irene Morris will over see the project, in addition all participants will have opportunity to respond to the rough edit, the film will be made with a collaborative model guided by the Elders and writer. Mandy is a Woiwurrung language specialist, a leader in her community focused on working with young girls to bring back cultural practice, lores and responsibilities. She is coordinator of the Murrum Turukuruk together with elders Aunty Diane Kerr and Irene Morris. She is the manager and artistic director of Djirri Djirri Wurundjeri Dance group, performed for Tanderrum, Melbourne Festival. Mandys artistic vision has brought her to work on many commissions including the Closing Ceremony of the Manchester Commonwealth Games. She is doing her PhD at Deakin University, on on the Gunditjmara people’s Connection to Country from Western Victoria in 2017. Rochelle is the Creative Director of Genetic Circus Productions, producing multidisciplinary work for more than 17 years including sculpture, installation, puppetry and film. In conflict conditions (Timor Leste 2006) she made and translated a series of documentaries broadcast on award winning program PluginTV. Rochelle worked as Director and Producer, for the documentary Urban Dreaming, which has won best short documentary at AFIFF (Berlin) and AIFF (Auckland, NZ), and she won Best Woman Filmmaker at the Canadian Diversity Film Festival. Urban Dreaming was broadcasted on SBS (NITV) in 2018 and is distributed by ATOM . Rochelle is the Director and Producer of Anarco Film Festival. She is on the Board of Women in Film and Television. Rochelle speaks Tetun (Indigenous meeting language of Timor Leste) has a Masters in International Relations with a specialisation in International Law and Human Rights and a Bachelor of Contemporary Arts. Rochelle is currently writing a feature screenplay, set in Australia and Timor Leste; in English and Tetun. Hugh Turral is a cinematographer working in Melbourne, mostly on drama and documentary productions. He has worked previously with Rocky on "Urban Dreaming" and documenting tree scarring for the The Wurundjeri Tribe Land and Compensation and Cultural Heritage Council Incorporated. Recently (2016), he won a couple of gold awards for cinematography from the Australian Cinematographers Society (Victoria and Tasmania branch) for short film ("Bluebird") and TV drama, for "Restoration" which is currently streaming on STAN. Hugh is really happy and privileged to be working on this project. We are looking for partners for this exciting ground breaking Documentary, we would love to hear from you; please go to the contact page.